If the rumors are true, this will put Microsoft's new console to release a year ahead of Sony's. Plenty of rumors are flying around about new consoles from Microsoft and Sony, and they have been for a while. It's easy to speculate on the next big launch, but the latest information seems solid. The folks at Develop have several sources in middleware firms and chip manufacturers that have all confirmed that a new Xbox is on the way. The code name for this project, at least at the moment, seems to be Xbox Next. 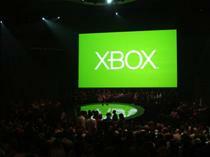 Expectation is that the console will be unveiled at E3 2013 and made available for Christmas of the same year. Develop uncovered a bit more information that lends the rumor even more credence. Apparently Lionhead is working on a new 'Fable' game for the new console, Epic Games is working on a new Unreal Engine for a 2014 launch and word is that EA already has a preliminary version of the console in house.